Why everybody is talking about Mars ? Mars is the fourth planet from Sun and is the second smallest planet in the Solar System after Mercury. Mars gets its name from the Roman God of war and is often referred as the "Red Planet". Mars is a terrestrial planet with a thin atmosphere, having similar features to both of impact craters on the moon and to the valleys, deserts, and polar ice caps of Earth. The orbital period of Mars is almost twice of that of Earth. Hence an Martian year would be equivalent to almost 2 Earth years. Mars has a very thin atmosphere consisting of 96% carbon dioxide, 1.93% argon and 1.89% nitrogen along with traces of oxygen and water. Liquid water cannot exist on the surface of Mars due to its low atmospheric pressure, but landforms present on Mars strongly suggest that liquid water once existed on the planets surface. Further evidence that liquid water existed on the surface of Mars comes from the detection of specific minerals such as hematite and goethite , both of which form in the presence of water. 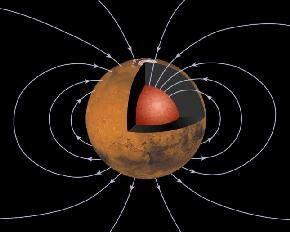 Mars lost its magnetic field about 4 billion years ago , possibly because of several asteroid attacks. 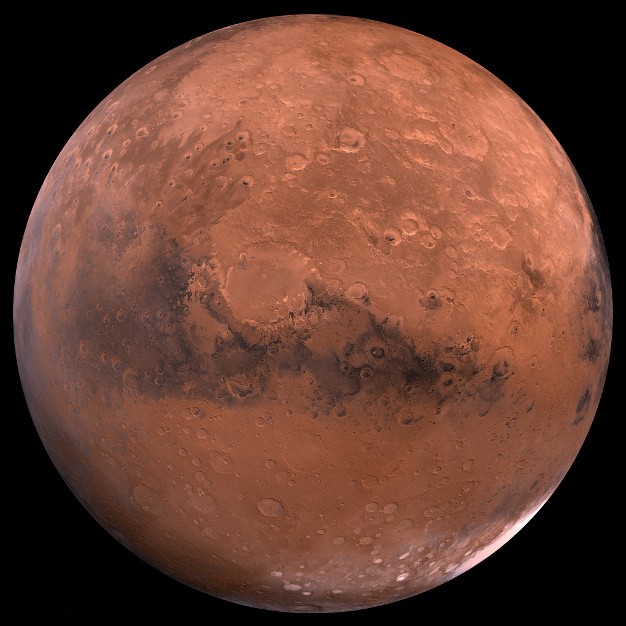 The presence of reddish iron oxide on its surface gives Mars its distinguished reddish colour. Due to its reddish appearance it is easily detectable among other astronomical bodies in the Solar System. Primary elements found on Mars are iron and nickel with 16-17% sulfur. Mars consists of certain solar caps which on melted can cover the whole planet with water. Temperature on Mars varies from -143c in winters to max 35c in summers, this drastic change in temperature is due to very less atmospheric pressure hence incapability of Mars to hold on Solar heat.
. Orbital period of Mars - 686.971 days whereas orbital period of Earth - 365.25 days.
. Total mass of Mars - 3.711 m/s2 that is equivalent to 0.107 Earths.
. Surface gravity of Mars is 3.711 m/s2 and that of Earth is 9.8 m/s2.
. Total surface area of Mars is 144 798 500 km2 which is equivalent to the land area of Earth (water surface area excluded).
. Mars total atmospheric pressure is less than 1% of that on Earth, that is why liquid water cannot be found on Mars surface.
. Mars has two artificial satelites phobos and deimos in comparison to Earth's only satellite moon.
. Mars is less dense than Earth, having 15% of Earth's volume and 11% of Earth's mass, resulting in about 38% of Earth's gravity.
. No evidence of magnetic fields have been detected on Mars comparitively Earth has a magnetic field strong enough to be detectable.
. 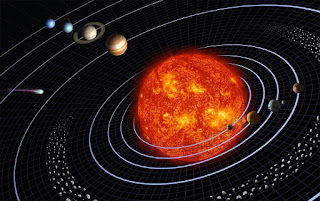 Seasons on Mars are twice as long as that on Earth due to its greater distance from Sun.
. No ozone layer on Mars so no protection from harmful Sun radiation. 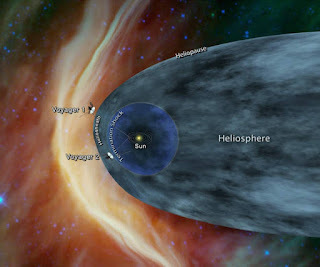 On Earth we have a good share of ozone layer hence life can prevail here only. 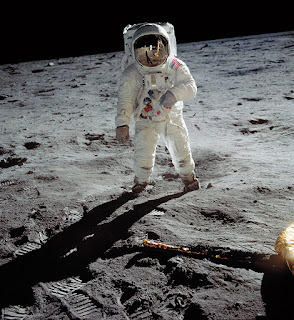 Habitability of a planet is characterised by the potential of it to hold liquid surface water, Mars has pretty opposite conditions regarding its habitability but Curiosity rover and many other robotic expeditions have shown that Mars has the potential to hold surface water provided certain conditions.